The life and Dormition of the Most Holy Theotokos offer a genuine and faithful testimony of how the family should be a witness of the Gospel. 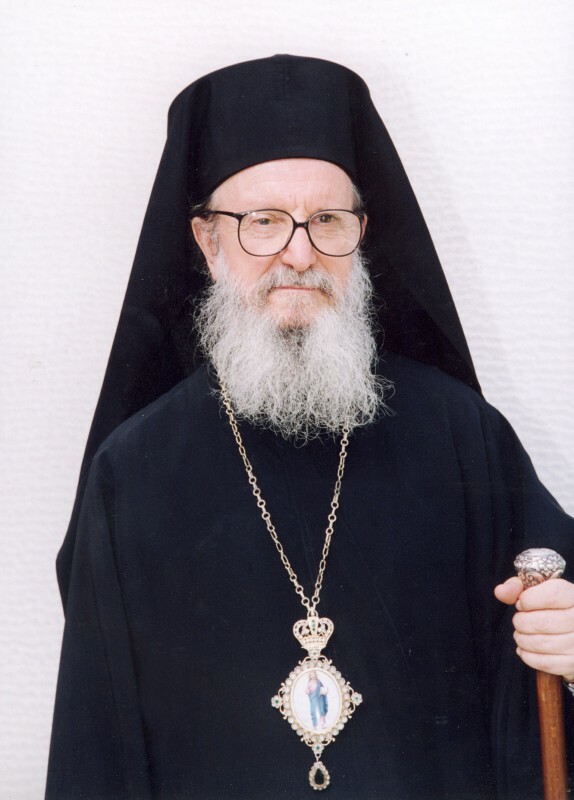 Encyclical of Archbishop Demetrios for the Feast of the Dormition of the Theotokos - August 15, 2014. We commemorate this blessed Feast of the Dormition of the Most Holy Theotokos and Ever-Virgin Mary, honoring and celebrating her faith in God and the witness of the miraculous power of grace in her life through her willing obedience to His will. 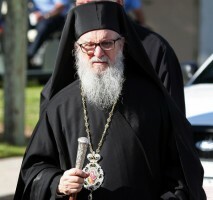 As a result of the amazing level of personal holiness and the abundance of grace, the Theotokos offers us a superb example of a relationship with God and a deep connection with Him that is essential for our lives and the sacred institution of the family. In addition to the impact of the power and presence of Christ on her as a person, the transformative influence of the grace of God guided the Theotokos as a Mother and in building and nurturing a family in which her Son was also the Son of God. Through faith and grace, she was instrumental in creating the perfect family, the Holy Family, from the birth of Christ and His perfection as an infant through His thirty years with His family in Nazareth. The person of the Theotokos as a superb model in creating a family as a holy institution is important for families today when faith and grace are essential in the midst of so many challenges. With this in mind, we celebrate the Feast of the Dormition following our 42nd Biennial Clergy-Laity Congress. 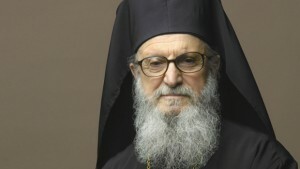 A blessing that continues from the Congress is the ongoing reflection and emphasis of our theme, “The Orthodox Christian Family: a Dwelling of Christ and a Witness of His Gospel.” As we are seriously engaged in applying this theme in our homes and ministry, we are guided by the example of the Theotokos. Our focus on the family and the priority of ministry to the family has abundantly shown that its true identity and character is known when the family is connected to God. In the life and witness of the Theotokos and through the Incarnation, we are shown the necessity of this relationship. Certainly, the importance of the family is affirmed in that God, when He became man, was born as a baby in a family and was nurtured as an infant within a family under the holy care of the Theotokos. The life and repose of the Theotokos also reveal to us and to our families the power of the presence of Christ. This power, the result of her response of faith to the grace of God, was shown through her life-long commitment to His will and in the miracles associated with her repose. Through faith and grace she experienced the true and abundant life free from corruption and death, and through her witness we can see the power that is offered to the family. When the family is also a dwelling of Christ, the family has the power of His Resurrection and finds true life. Then, the love of Christ is felt and shared, and each member rejoices in the fact of being a dwelling of Christ. Finally, the life and Dormition of the Most Holy Theotokos offer a genuine and faithful testimony of how the family should be a witness of the Gospel. The power that she has been given by God to accomplish mighty acts, the heights of holiness that she has attained in which she intercedes on our behalf, are due to her tremendous faith in the power and promise of the Gospel. Her life was dedicated to truth and to sharing the love of God with others, and her Dormition affirms that her hope in salvation and assurance in the promises of God were fulfilled. Through her life we can see that when the family is connected to God, and the lives and home of the family are filled with the presence of Christ, the family offers a true and beautiful witness of the grace, life, joy, and love that is presented in the Gospel. 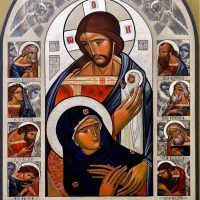 On this blessed Feast of the Dormition as we reflect on the beautiful and holy witness of the Theotokos to each of us and to the family, may we seek her supplications and intercessions on behalf of families. May we prayerfully ask for her compassion for our families. As she has been a refuge and shelter for so many down through the ages, may we also affirm her protection for families so that they can overcome the challenges and burdens of this life and be a dwelling of Christ and a witness of His Gospel. And may we offer thanksgiving and praise to God for her life and service as we commemorate her Dormition and honor her as the blessed Mother of our God.